Grandview C-4 is committed to improving the quality of life for all by offering affordable, high-quality educational programs. 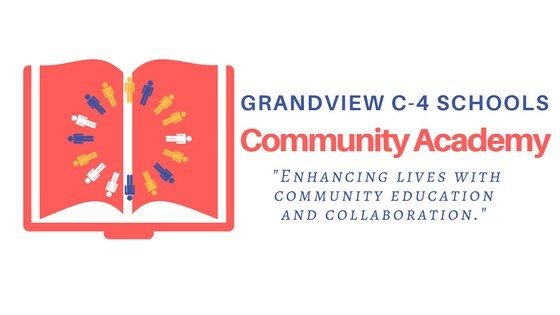 Grandview C-4 plans to provide lifelong learning and community programs that connect schools with the community. Community Education is a way for people to enhance their lives and communities through learning and collaboration. It will promote increased involvement of parents, businesses, and community members within our school district. Community Education provides opportunities for local community members, schools, and other organizations to become partners in addressing educational and community needs. For more information about future programs and services, please contact Angela Cordier, District Coordinator of Pupil Services at (816) 316-5037.